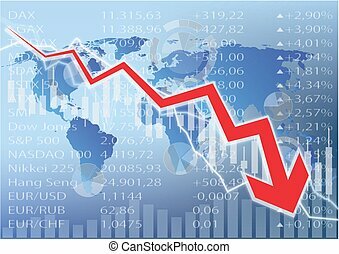 Stock market crash isolated on a white background. 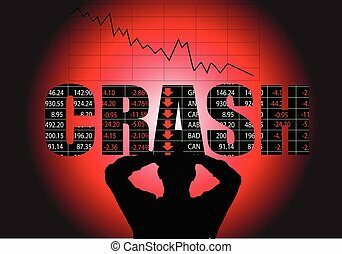 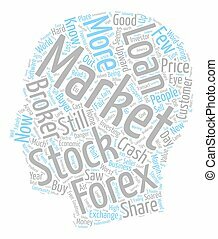 The word CRASH, with stocks all going down in it and a stock chart going down, all in red that indicates downtrend in the stock market, and a man holding is head watching the stock market crash. 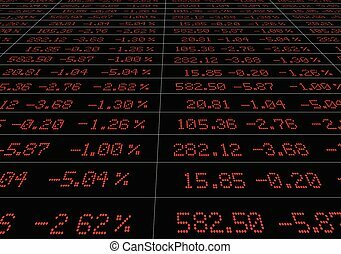 Stock market board, all in red, all going down. 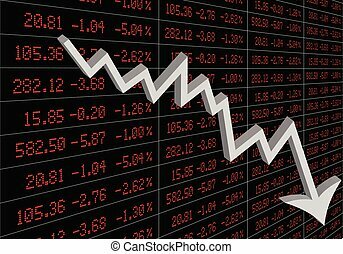 Stock board with all stocks going down, and an arrow going down. 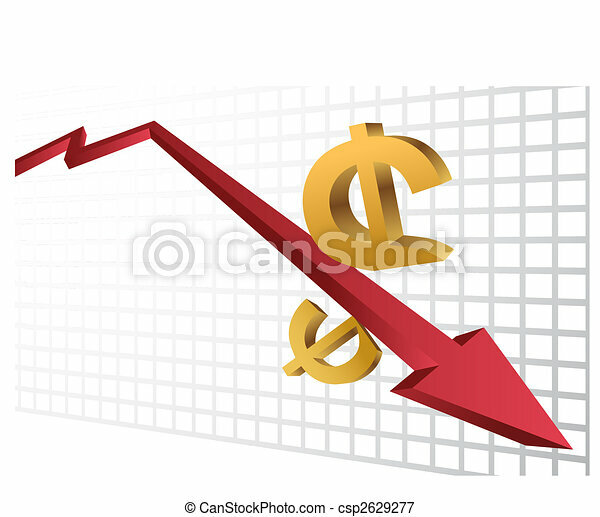 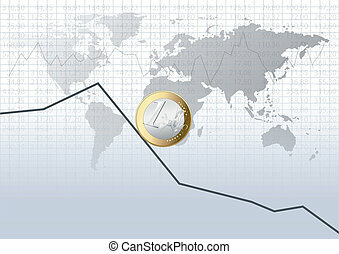 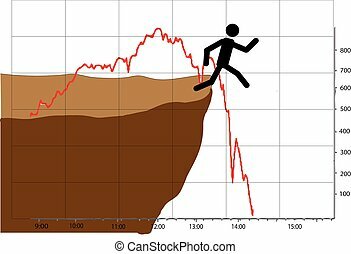 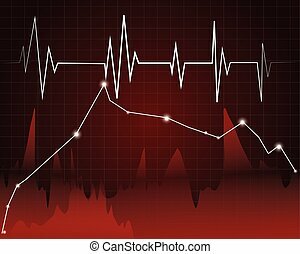 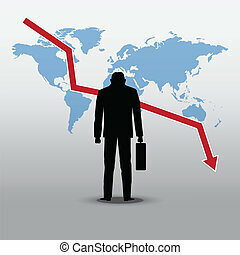 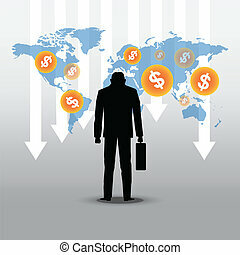 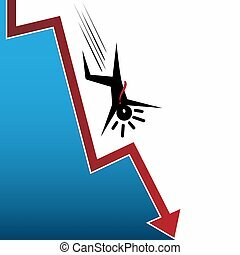 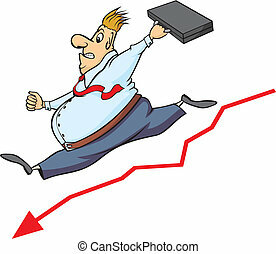 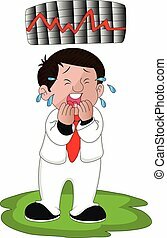 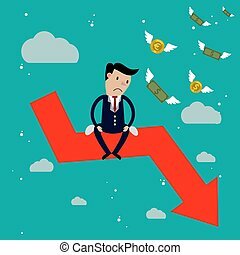 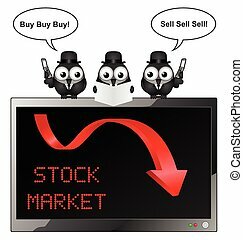 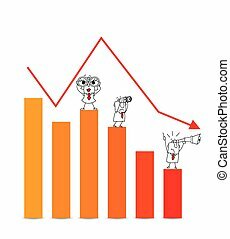 Vector illustration of crying businessman with graph of stock market crash.